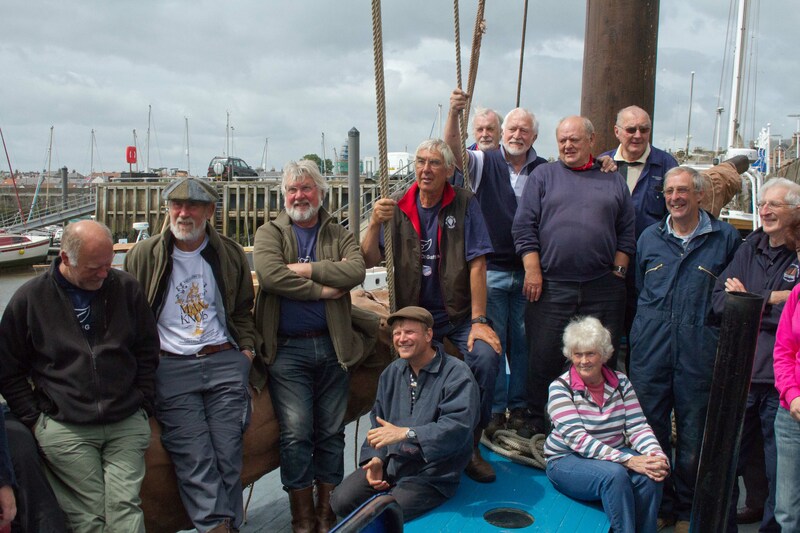 Skippers and crew viewing the presentation of "Reaper"
Presenting "Reaper" for the Museum to the former Chair of the Historical Ship Society, as you will perhaps recognise him!! Leaving Tantina II at Inverness, the next part of my RBC was by train to Anstruther. 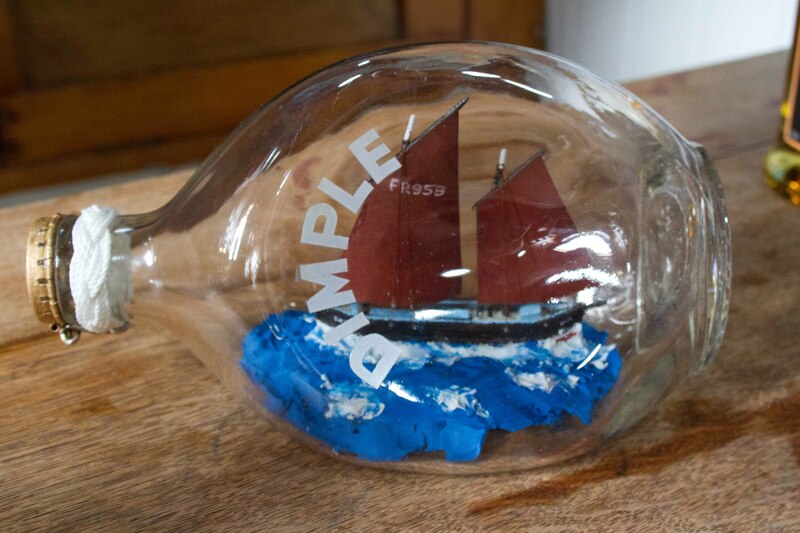 On this part of the journey I was carrying the Scottish Token, a scale model of Reaper housed in a Dimple bottle and sealed with an original cork, which I will present to the The Scottish Fisheries Museum in Anstruther. 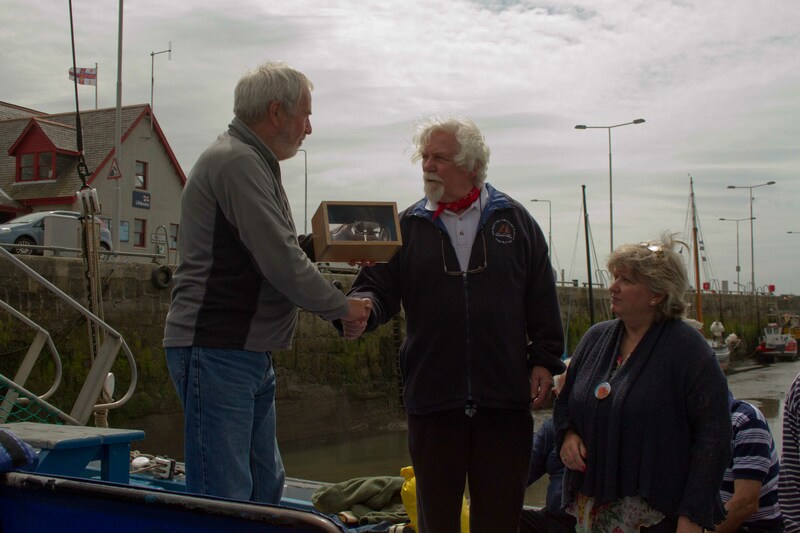 As I was now “Boatless” Windbreker offered me a berth and sail to Eyemouth. We sailed to Mays Island where Edgar attempted to catch fish for dinner. He is a better sailor than a fisherman. 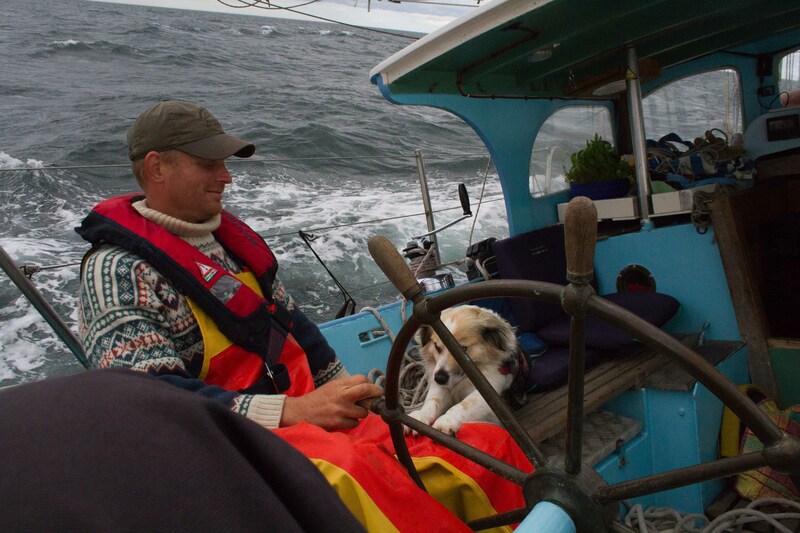 In the afternoon we set sail for Eyemouth with a good blow and 2 reefs in the main. “Windbreker” sped across the sea at a cracking 7.9 knots. Luckily Edgar trusted me with the helm which was a wonderful experience. Monday morning came and I departed for the Lakes and home for a few days before joining “Syene” over the weekend in Newcastle.